If you go to others speed dial in Bookmarks you can remove others devices. I can't agreee with you, Sidney, because I need the same Speed Dial in all devices. The Speed Dial I have in my computer is the same I want in a notebook and in my phone. If I had a tablet I'd want the same links from my phone/PC there also. I think the solution might be letting the user choose which folders to sync (Speed Dial being one of those folders). Via a simple checkbox + action/OKdialog interface for example. Now I agree with you. Firefox Sync syncs the same thing on each device conected. The Opera Sync is a complete mess. On both my PC i want the same speed dial, but on mobile i like a different one. Please add an option to set a "default speed dial/share a speed dial". In this way we can choose to use the same SD between 2 device or different SD for all devices. I want to be able to choose which speed dial I want in each computer: share between two computers, or have different ones, but it should be configurable. Right now I really don't see what's the point of syncing speed dials. I must bring this up again, because I'm growing tired of this feature/bug. And I don't even have that many computers. And it takes way too long time to delete them, one by one. And why would I search trough all of them just to find a regular speed dial site like youtube.com? 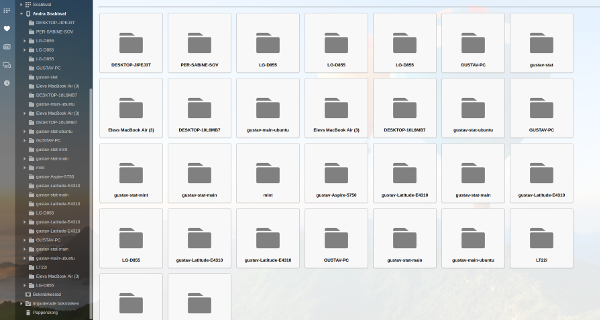 It would be much better if it by default just used the same folder for every computer, and then a user can add another one manually, and then on every computer choose which folder to use. No one could complain about such an implementation of the speed dial sync, and it can't be hard to implement. I started to use Opera just last week and love it. However, in FF I used Speed Dial extension which synced with all my computers through EverSync. No problems at all. I was even able to choose whether I want to download from server, override server or synchronize. I downloaded as Chrome ext. to Opera but for some reason it didnt work. So, I played with Opera very limited dials (dont like just names instead of logos). Unfortunately it doesnt sync to another computer. Then I opened Opera Mini on my iPhone and found one Dial set from Desktop PC and New one, separate from Laptop. Lucky it didnt override what I had on Desktop as this is my main PC and all is nicely set up there. However, I still want to have the same Dials on laptop. I cannot see any options except sync enabled and...what? Btw, your text looks strange because you're using the wrong character for apostrophe (for example when you write don't). Now a markdown feature gets applied instead, which makes the text mono-spaced. I have 2 devices - my home PC and work PC and all synchronization is turned on. I want to add some site to speed dial @ home PC and here is no problem. But I want to add the same site to the speed dial at my work PC - and here is problem: it shows in the interface that site is already bookmarked (in a speed dials on other devices / home PC). So if I change folder at work PC to the Speed dial it will gone from speed dial at home PC. Thats it. There is something wrong with this. Why I can't add the same link to more than one speed dial? I think we need simple checkbox in bookmark's properties to show it on a speed dial. I agree it would be nice to be able to selectively share speed dials among devices. There are cases that I want to keep a device with a separate speed dial, but give every device its own speed dial seems like an overkill. While I understand that some people want unique speed dials depending on their device, I'd like to use the same one. This should be a optional setting on the Opera Sync website. Yes, please!!! I wish we could vote for this feature ... and having synchronized speed dials does not necessarily disallow device specific speed dials - it should just be a matter of configuration / preference. +1 Pretty please enable me to manage what syncs between my devices. I got a whole bunch of speed dials setup on my other device and don't have any on this current device. This is the key reason I want to use Opera, I love this Speed Dial but am saddened at the sync shortfalls. I for one, love the speed dial and believe an option to sync across devices would add a much welcome level of convenience. Having said that any functional sync would be a welcome start on Opera Beta. I've just discovered that I can't sync actual speed dials across computers. And when I access "Other Speed Dials" on my laptop (which I can't actually do unless I'm bookmarking something else, just so I can bring up the option to click "Other Speed dials" in the bookmarking dialogue that comes up) -- I can't add a URL that I use on my PC speed dial into my laptop speed dial without it disappearing from the speed dial back on my PC. I can't have the same bookmark in both speed dials. Which makes the laptop absolutely useless for work. I have to be chained to my desk, or I can't get my work done. I'm apparently going to have to turn syncing off and never, ever use it -- and create every bloody bookmark manually on my laptop. Hundreds. Or. This probably makes Opera useless to me as a browser. I have loved it for several years, since I first tried it, but this is probably a deal-breaker, since I'm going to need to be able to use both the PC and the laptop. I believe this is what will make me dump Opera, since the so-called "syncing" does not sync anything that's actually important. This needs to be done. Sad! Bigly. Let's make Opera great again.